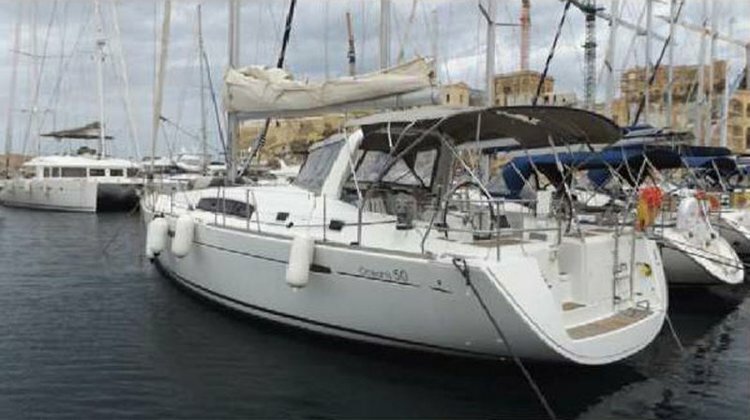 Enjoy a great day out on this luxury catamaran ideal for up to 15 guests. The archipelago lies right in the middle of the Mediterranean Sea, between Europe and Africa. Just 68 miles off the coast of Sicily you will find a stunningly beautiful country, with a rich history dating back to the beginning of civilization. 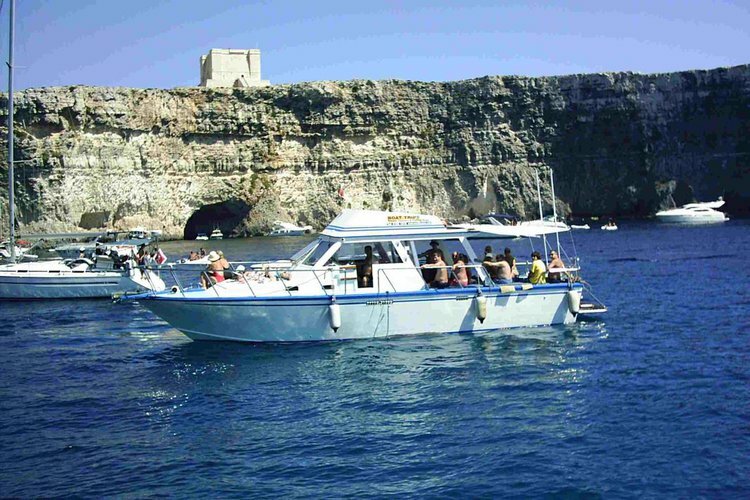 What better way to discover an intriguing mix of cultures while soaking up the Med sun than to rent a boat in Malta? 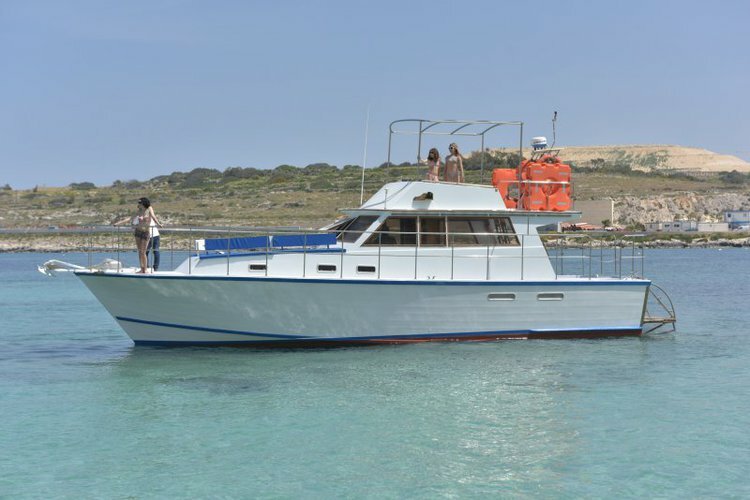 Whether you want to enjoy a daily trip to the Blue Lagoon, an overnight to Comino or a few days sail around all three amazing islands, you’re guaranteed to have a great time on a boat or yacht charter from Sailo! 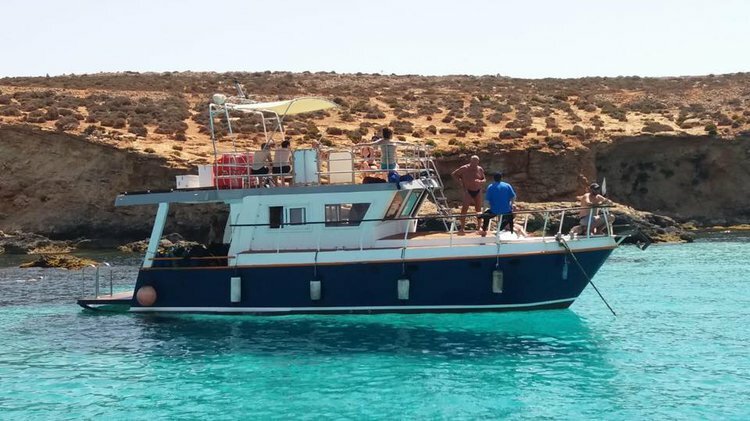 If you are planning to rent a boat in Malta from Griza or Valleta, our local friends recommend going north to Comino - a small island with just a few permanent residents, a rocky decor but some spectacular deep-blue swimming holes. 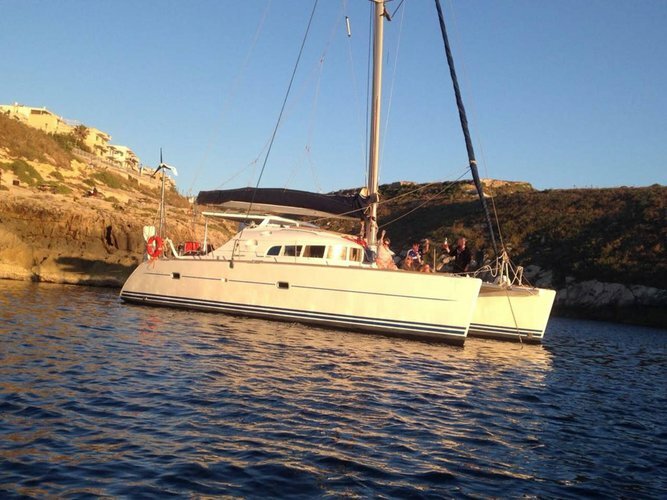 Drop the anchor on your boat charter and relax, have some Maltese wine and watch the breathtaking sunset over the sea. Heading back to the main island, enjoy your sail along the coast and stop to explore some amazing rocks and caves exploration around St Paul’s bay. 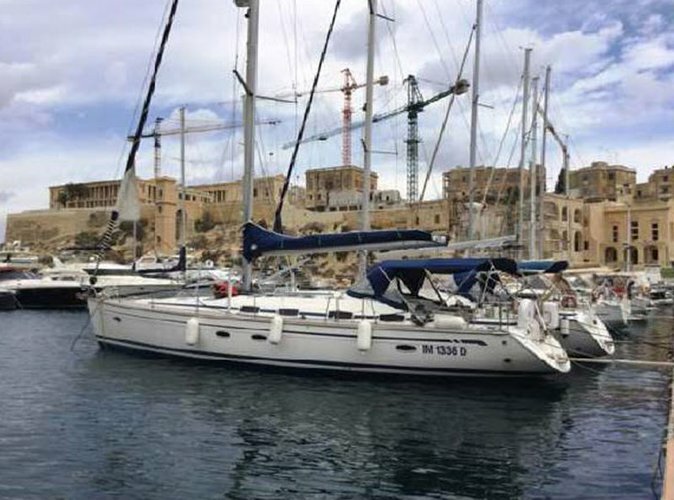 For those of you who are experienced sailors, rent a boat in Malta and head south to one of the busiest ports of the Mediterranean. The waters are crowded with fishing vessels, tankers and oil rigs. The intense maritime activity in this area makes navigation challenging, so you might want to consider a Sailo crewed yacht charter from Malta, so you can enjoy the landscape, take pictures and unwind. 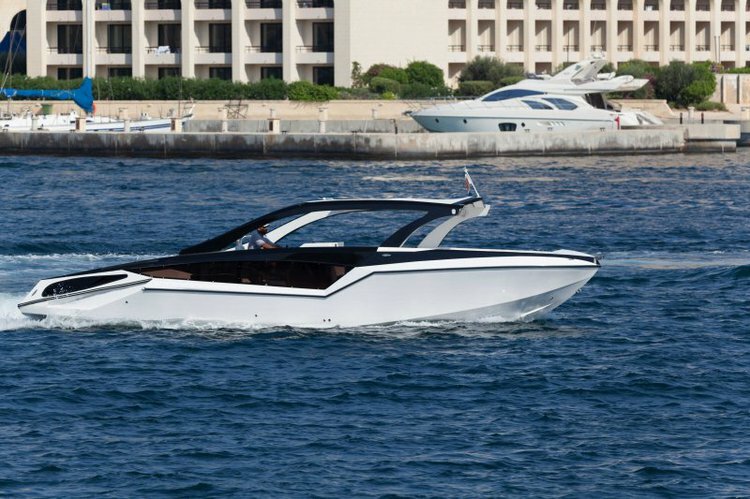 Before you rent a boat in Malta from Sailo, we recommend asking the boat representative all your questions about sailing these gorgeous islands. You can easily start a conversation with the captain or the owner by clicking on the “Message Boat Owner” blue button on the boat page. You can make special plans, discuss itineraries and local attractions. 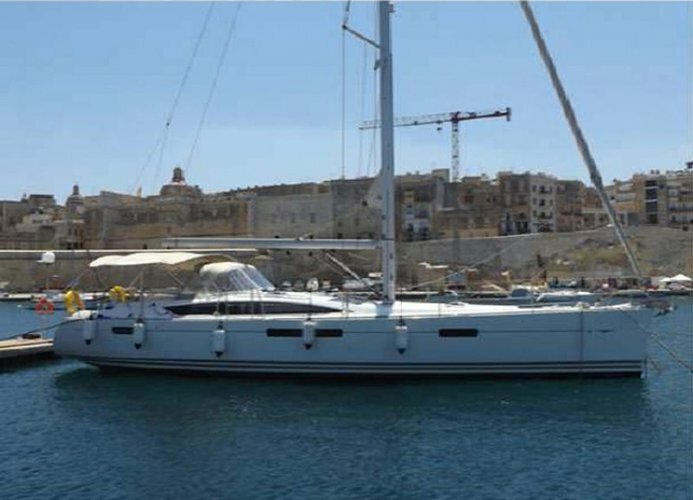 Once you’ve booked your dream boat or yacht charter from Sailo, you're set to go and enjoy a memorable sailing adventure in Malta!